Product #20809 | SKU ST2006A | 0.0 (no ratings yet) Thanks for your rating! Used to mic orchestras, acoustic pianos and guitars, choirs and more. The ST2006A Stereo Pair of 2006A Omnidirectional Microphones from DPA Microphones are matched within a sensitivity of +/- 1.5 dB to provide accurate sonic reproduction from both mics. The 2006As are designed to provide a linear frequency response across a large bandwidth and can be used to mic orchestras, acoustic pianos and guitars, wind instruments, and choirs. 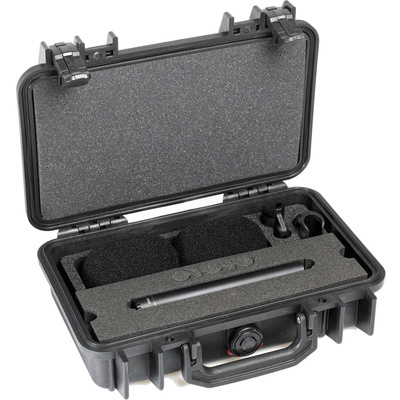 A foam-lined transportation Peli case, two windscreens, and two mic holders are included.